Zgaines is a smart pillow that acts as an aid to wake you up or help you sleep using vibrations to help. The Zgainer Pillow was inspired by one of our team members, Matthew Mendez, who desired a method of being awaken more efficiently in the mornings. As such he presented the idea as a topic for a senior design project. 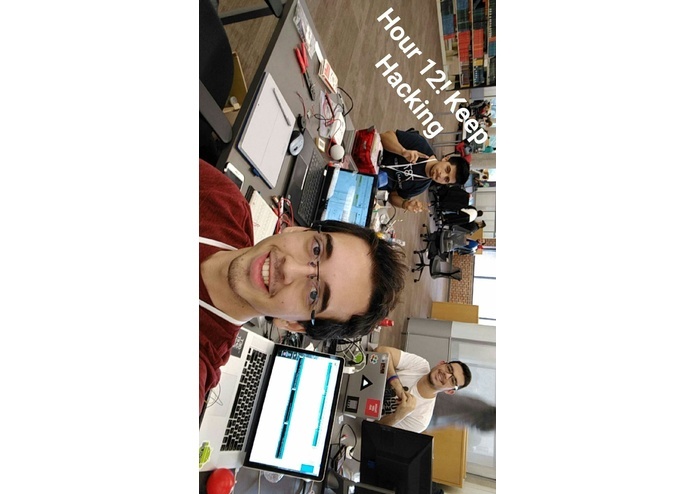 We instead decided to bring the project to HackFSU as a challenge to the team. Zgainer was built as a combination hardware, software hack. Our hardware component began with building the smart system that would be implanted inside of the pillow. Containing four low power vibration motors, piezo elements and LED lights the user is able to gently awaken by the pillow. 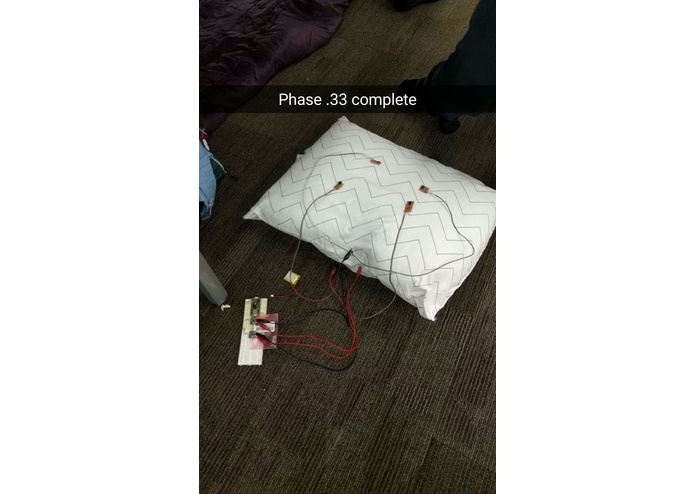 Using a companion app, created in Android Studio the pillow can be controlled and set as an alarm to be awoken at the desired time. Our challenges manifested themselves both with hardware and software. The combination of cyber and physical systems can sometimes be tricky and require time to trouble shoot. Two of our major problems included a failure in the development environment used to program our micro controller and difficulty establishing Bluetooth connection with the Micro controller circuit. As a team we were able to accomplish most of the desired functionality of the Zgainer smart Pillow. We were able to gain experience in the realm of Android Development. Each team member was able to gain experience in a field they had not previously had extended experience.